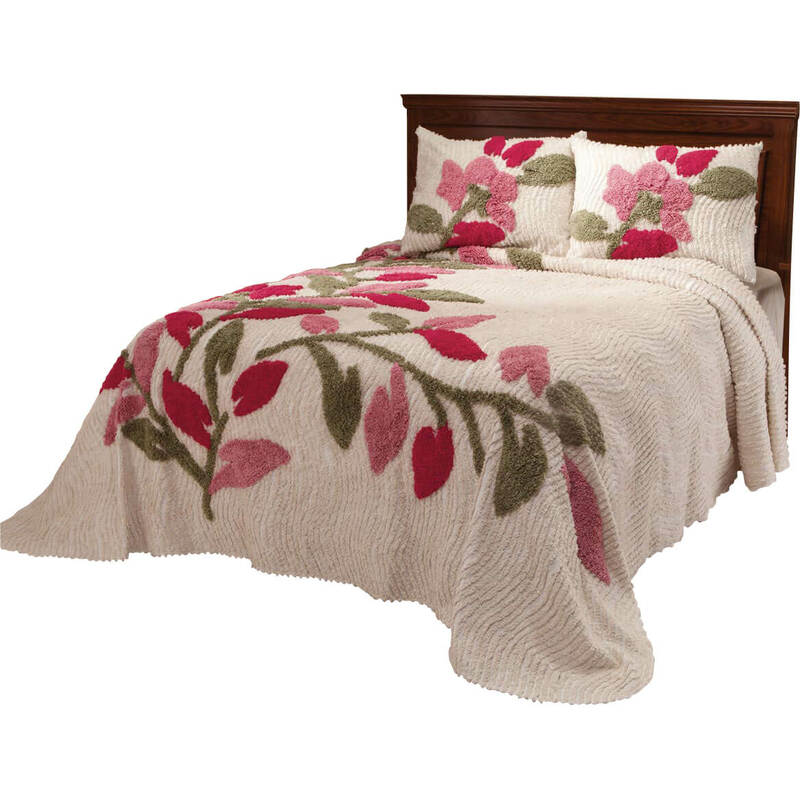 I bought this chenille bedspread because I liked the brightness of the design in the online picture. It is a lot darker in reality and it smells funny, almost like it's been drycleaned and isn't brand new. Weird. I'm afraid to wash it, as I think the colors may bleed. But it smells pretty funky. Also, I laid it over my king bed. The bedspread is way too long, but not quite wide enough to touch the floor on both sides. Also weird. Very disappointed. Just like the other reviewer....faded and had lint all over like the pattern was being pulled out. Matching bedspread and shams. Love chenille ... hard to find nice chenille bedspreads. what are the measurements on the king size? BEST ANSWER: Thank you for your question. The King size is 118" x 118". We hope this information will be of help to you. what are the measurments on the queen size? BEST ANSWER: Thank you for your question. The queen measures 118" L x 102"W. We hope this information will be of help to you.